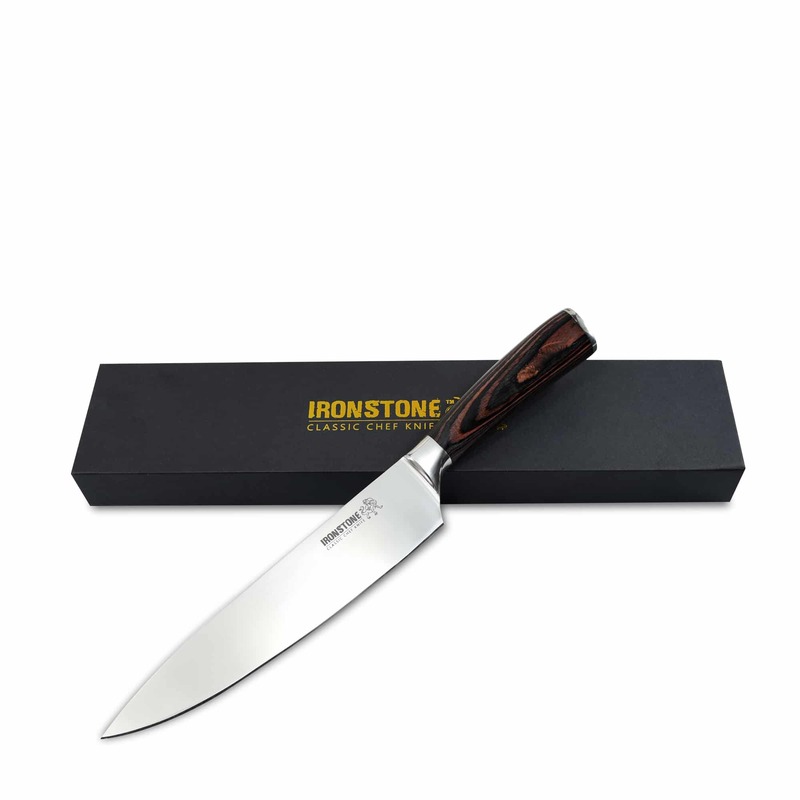 Ironstone Professional Chef Knife 8″ | The Perfect Steak Co. | The Perfect Steak Co. Presented in a beautiful gift box! 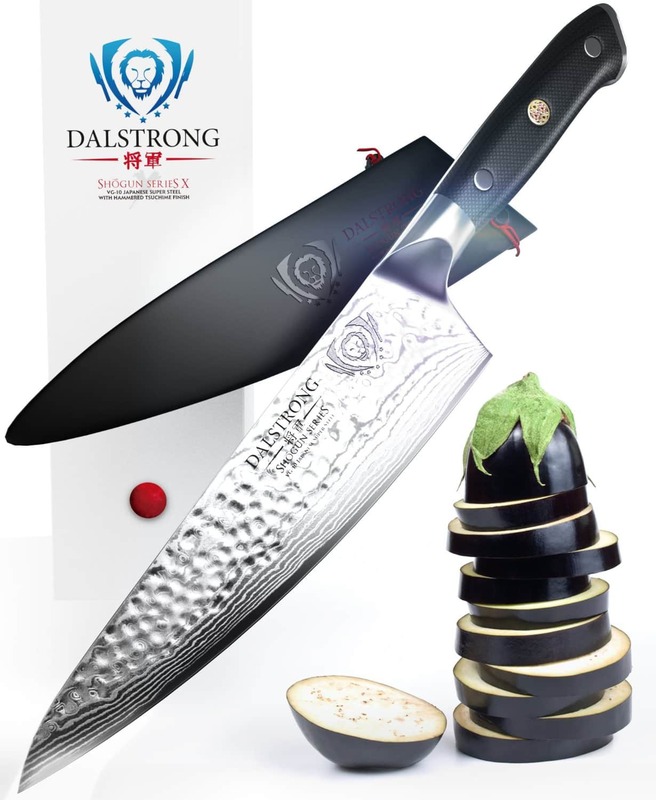 A large knife suitable for Pro Chefs, Kitchen Cooks and anyone who demands a razor sharp blade. Beautifully balanced handle for ergonomic cutting. Suitable for slicing meat and vegetables. High Carbon Stainless Steel for extra edge retention. 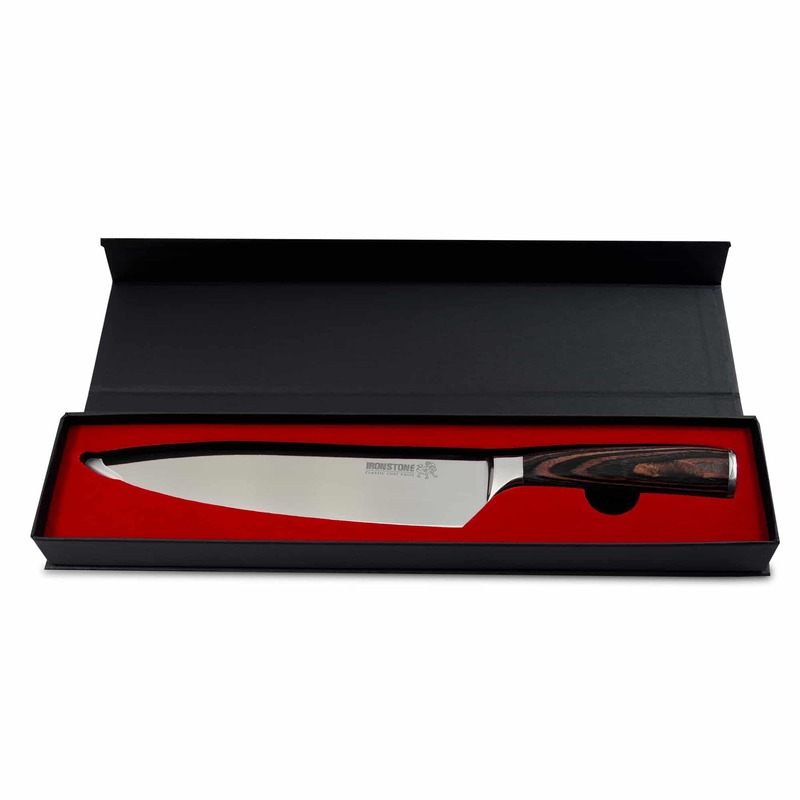 The New Ironstone Pro Chefs knife is suitable for a wide range of kitchen and restaurant duties. The blade is razor sharp right out of the box and ready for work. The high heel is preferred by professional chefs who do a lot of cutting because it allows the user to cut flat on a board without striking their knuckles. Great care has been taken in the design in order to achieve an ergonomic balance between blade and handle. Feature points adorn the knife with the Australian Frill Neck Lizard engraved on the upper blade and end cap. The Aussie expression of “we like our lizards frilled not grilled” has been taken as the inspiration to use this iconic Australian animal to adorn this knife. High Carbon 7 cr17 chromium steel is a very hard steel measuring 54-56 on the Rockwell hardness scale. 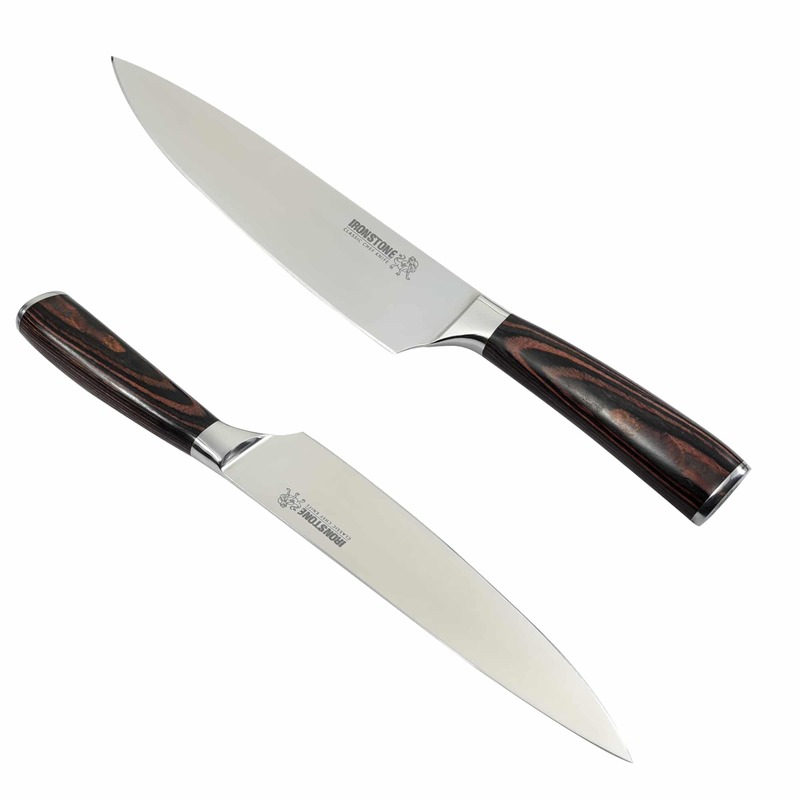 It is impervious to corrosion and less inclined to chip than knives which have higher carbon contents making it a little more forgiving for cutting bones or other hard materials. The Pakka wood handle is a feature of many of the more expensive knives and is designed for superior hand control and comfort. It is also heat resistant, cold resistant and impervious to moisture. It has the desirable properties of being extremely hygienic and very easy to clean. 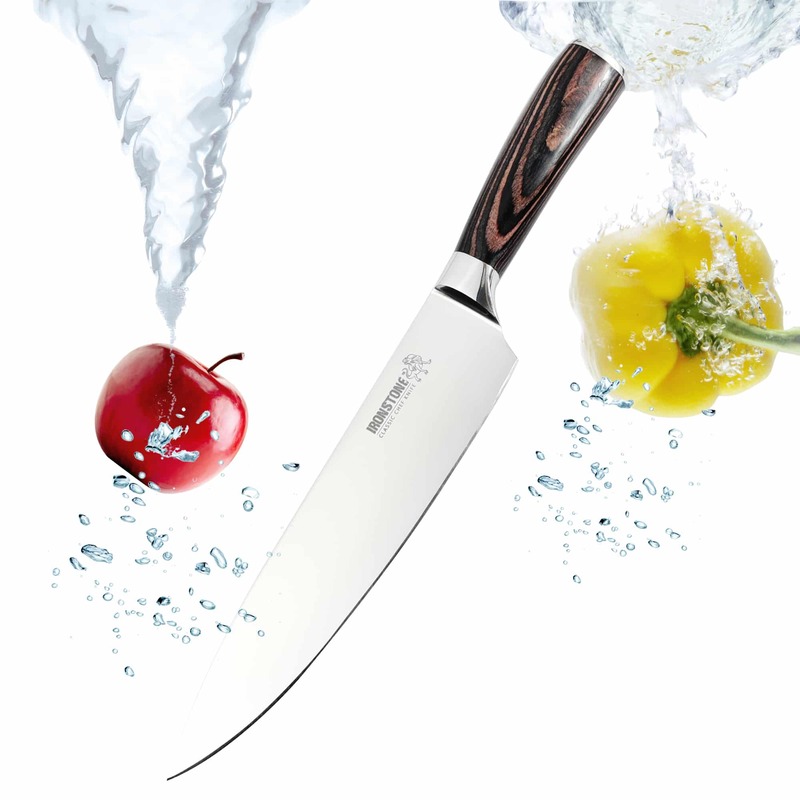 This is an extremely sharp knife with a 20-22 degree edge of high carbon stainless steel which will not disappoint. 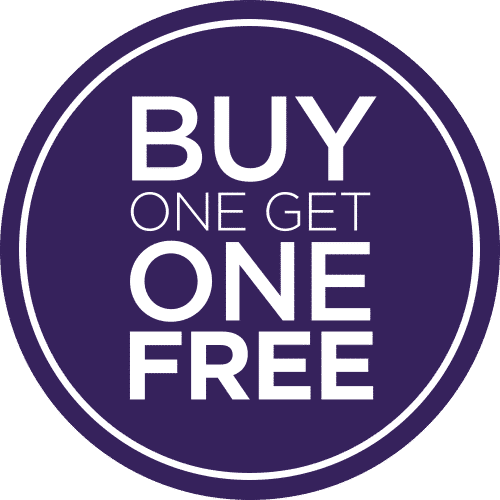 It has many of the features of much more expensive knives and is offered at this introductory price. The knife comes with a 12 Month Workmanship warranty. Ultrasharp High Carbon steel blade with premium Pakka Wood Handle. Iconic Aussie Frill Next Lizard Etchings on upper blade and end cap. Presented in a beautiful magnetic case with Ironstone Branding it makes it a perfect gift.